THE Celtic Club Melbourne has launched its new licensed premises in time for St Patrick’s Day. There is a full day of music and entertainment planned for March 17, culminating in the screening of the Ireland v England rugby match. The club’s new home, named Celtic at Metropolitan, had a special gala launch attended by the Irish Ambassador Breandán Ó Caollaí on February 15. The club expects to be in its new home for three years while its former premises at Queen Street is refurbished and the club can return there. The Minister for Justice and Equality, Charles Flanagan, visited the new club as part of his pre-St Patrick’s visit to Melbourne. While in the city, the minister attended an Enterprise Ireland lunch and visited memorials to Irish sporting heroes Jim Stynes of the AFL and Ron Delany, who won gold in the 1500 metres at the 1956 Olympic Games in Melbourne. “With the new club, Celtic at Metropolitan, we’re able to focus on the cultural aspects,” Celtic Club Melbourne committee member James Dunne told The Irish Echo. “For the launch, we had a four-day event. We had a lot of cultural activities: we had two days of Bloomsday [and] lots of Irish music. The 130-year-old Celtic Club Melbourne is the oldest Irish club in Australia. 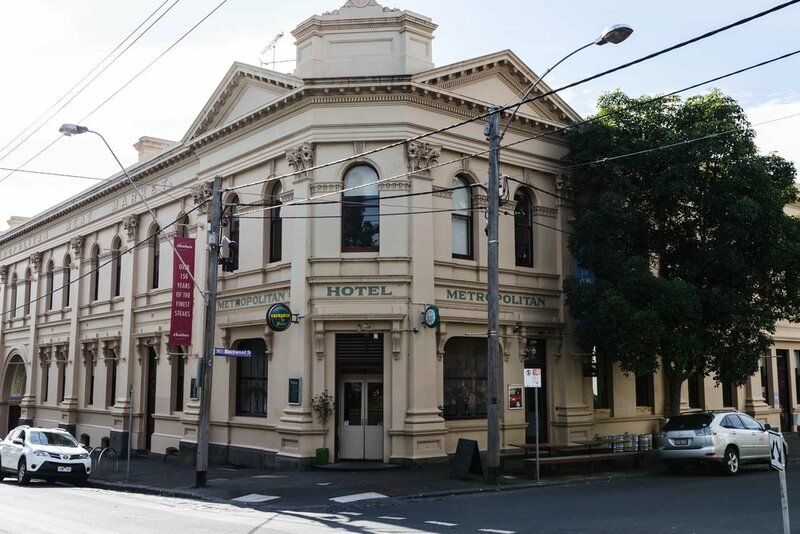 Located at 36-42 Courtney Street, North Melbourne, the club’s new home is part of the old Meat Market, an iconic Melbourne venue and hub for creative arts and cultural activities. It is also very close to the city and accessible by tram. Last October The Irish Echo reported that The Celtic Club had sold its premises at 320 Queen Street. However the Celtic Club has exercised its option to buy back into Queen Street so it can return to the fully refurbished building in three to four years’ time. The sale marked the end of another chapter in the club’s 130-year history but it put the club’s finances into the black, with more than $22 million retained after the payment of longstanding debts and taxes. “We were there for over 50 years,” Mr Dunne said. “Luckily enough, with a lot of foresight a few years ago we negotiated air rights for 44 floors above the building and so, as a result of that, we were able to sell it for $25.5 million and that cleared the club’s debt. The club moved its administration and cultural activities to 420-424 William Street. Queen Street is being renovated into a prestigious, high-rise complex that will incorporate a vertical forest providing some nature in the heart of the city. The club is guaranteed 2,460 square metres and may look to lease some of this space to generate income. The annual Melbourne Irish Festival takes place on Sunday 18 March from noon in Edinburgh Gardens. Open to all, the family fun day celebrates Irish culture and heritage and creates an opportunity to come together as a community, to reflect the true nature of a diverse and modern Irish community and its contribution to the fabric of Australian society. The family fun day will feature entertainment such as U2 tribute act Achtung Baby, a session tent for featuring more intimate acts, Irish dancing and kids activities such as fun races, GAA and Irish language events. There will be a history tent where people can ask about their ancestry or find out more about the influence of the Irish in Australia. You can enjoy food, drink and music at Jimmy O’Neill’s, St Kilda for its St Patrick’s Weekend making it a great focus for Irish culture and history. There is entertainment all weekend and Irish dancing on Paddy’s Day.